Kulti was such an unexpected gem. 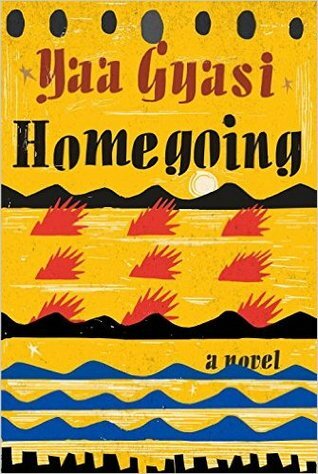 Jasprit brought this to the top of my TBR with her review and I have to echo her sentiments: I loved this book! Sal Casillas is a professional and soccer is her life. When her absolute favorite soccer player ever, Reiner Kulti, becomes her coach, she is prepared for the best season of her life. What she finds, though, is that Kulti is uninterested, brings a whole lot of unwanted attention to her team, and downright rude when he deigns to coach. Sal, seeing her idol fall off the pedestal she had built for him years ago, isn't about to be silent as Kulti ignores fans (like her father) and targets specific players (like her) on the field. But, of course, there is so much more to Kulti than what Sal saw on television as a child or even in front of her now, as an adult. Zapata's prose is distinct and un-put-down-able. 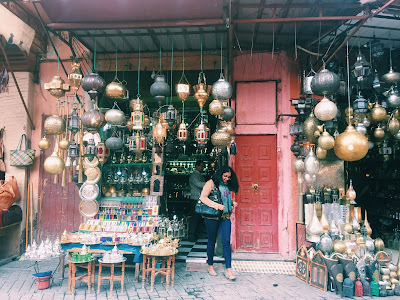 She is a lover of detail and Kulti is a comprehensive tale, following Sal before Kulti enters her life and showing us just how determined, hard-working, and dedicated our heroine is. Sal is a woman of principles and her patience, resilience, and moral compass are admirable. It's impossible not to love and root for her, first as she gets over her star-struck awe of Kulti to confront him, and then later as the two become fast friends. 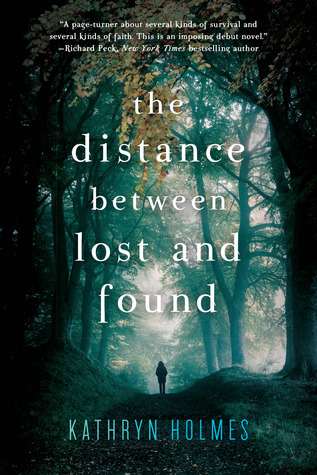 The romance is under-stated and left off until the very end of the novel, but the story is no less rewarding for that and I loved reading the ups and downs of Kulti and Sal's friendship. Theirs is a relationship I couldn't see happening at all in the beginning of the novel but, of course, half-way through I was dying for them to get together. 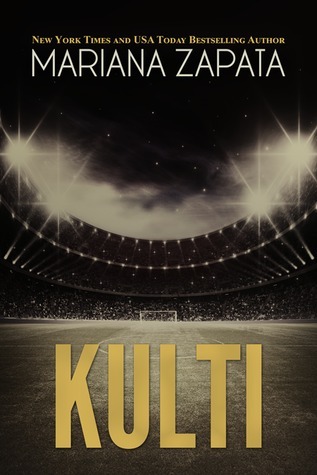 If there are any flaws with the story, it is only that the explanation that Kulti and Sal are best friends is flimsy, frankly, and the concern he has for her, and not for any of the other players, is a little frustrating. After all, he is her coach and the coach to the rest of the players on her team, too. Still, the secondary characters are so well fleshed-out, from Sal's friends and family to Kulti's fellow players. For a monster of a book, I absolutely flew through this and I only wish there was a novella or two to accompany it because I'm not ready to say goodbye to this dynamic couple. Zapata is definitely an author I'll be looking out for--after all, her novels feature sports, diversity, and romance in equal parts, so what more could I ask for? Why did I wait so long to read this book? 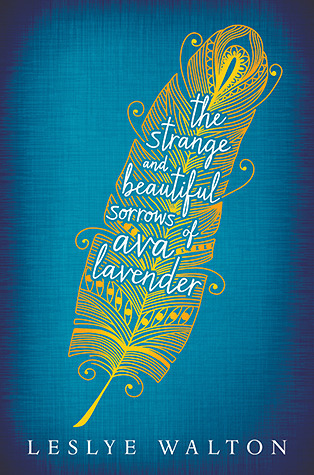 The Strange and Beautiful Sorrows of Ava Lavender is equal parts amusing and heartbreaking. The first half of the novel follows the tale of Ava's great-grandfather, his journey from France to Manhattan, her grandmother's subsequent trials and tribulations as she loses her three siblings, falls in love three times, and finally relocates to Seattle. Then, the story of her mother, known as the "witch's daughter" whose childhood sweetheart leaves her with twins, the winged girl Ava and her silent brother Henry. It doesn't seem like much of a tale, but the first-half of the novel, despite its slow start, is captivating in its unfolding of family history, drama, and lore. The Lavender's are a weird bunch, from the start, and with the birth of Ava and Henry, their small family becomes weirder still. But Walton's writing is dream-like, her prose utterly haunting, and I found it impossible to put this book down once I became sucked into it. I wanted each of these three generations of women to find their own happiness and the distinct personalities of each shone through the page. Anyhow, if you have somehow let this novel collect dust on your shelves, as I have, for the past two years, now is a good time to get it out. It's the perfect holiday read, embodying everything I love about family and hope in a package of magical realism. I only regret that Walton is yet to publish her next novel, but I sincerely hope she returns to magical realism--there aren't enough gems in this genre, and especially not enough Young Adult ones. 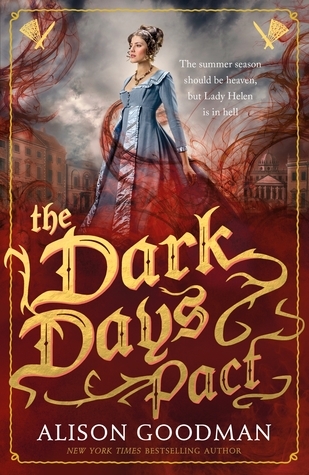 I think The Dark Days Pact might be my favorite of all Alison Goodman's novels to date. This sequel picks up promptly where The Dark Days Club left off with Lady Helen in Bath for the summer, having been cast aside by her aunt and uncle. Now that Helen has discovered that she is a Reclaimer, she is under the tutelage of Lord Carleston as he trains her to join the Dark Days Club. But nothing is quite as it seems... Lord Carleston is prone to illness, a strange Lord Pike is stirring trouble, Helen is confident she's seen a Deceiver in town, and the Duke of Selburn has followed Helen to Bath to renew his offer of marriage. Add to the mix Helen's best friend, Delia, who escapes being sent to an asylum to join Helen and Helen's new vows as a Reclaimer, which compel her to follow the King's orders--even if that means listening to Lord Pike--and The Dark Days Pact is a hell of a ride. What I love most about this book is the fact that Helen is caught between her upbringing as a noble woman and her duties as a Reclaimer, which demand her to dress and behave as a man on more than one occasion. As the only female Reclaimer in the Dark Days Club, Helen is an anomaly and watching her navigate the constructs placed upon her gender, while keeping to her vows as a Reclaimer, was a wonderful journey. Goodman excels at capturing the intricacies of gender--the fact that the men of the Dark Days Club see Helen as a noble woman despite her strength and contributions to the society--and I loved watching Helen re-define the boundaries to fit her. Of course, in Victorian England, there is constantly a push-and-pull of societal expectations and the heart, and this comes to light particularly in the romance. The Duke of Selburn can give Helen a good name--something her reputation rather needs--but Carleston understands that she needs freedom and trusts her to follow her instincts instead of constantly protecting her. It's not a love triangle, because it is clear who Helen favors of the two men, but the war between love and duty is one that becomes even more clear in this novel. We see that not only Helen but Hammond, his sister, Helen's maid Darby, and even Lord Carleston are all battling this same war. I particularly loved getting to know more about Lord Carleston, who is too much of an enigma in The Dark Days Club. We finally unravel the many secrets of his past and, what's best for me is that we see Lord Carleston out of his element. Enemies from his past, such as Lord Pike, plant doubts in the mind of Lady Helen and as Carleston's "illness" gets worse, he acts rashly and out of turn. Carleston isn't entirely in control of his actions and to see him go from a confident leader to a weak figurehead, of sorts, is a twist--one that is as difficult for him as it is for the secondary characters and Helen, especially. I loved seeing the changing relationship dynamics that this brought, though. And, of course, the plot just continues to thicken. Though we get many answers in this sequel, there are just as many questions remaining and Goodman wastes no time in elaborating upon her world-building. We meet so many more members of the Dark Days Club, understand the bond between Reclaimer and Terrene better, and even have our assumptions about Deceivers put to the test. This is such an intriguing world and though variations of this idea may have been done before--namely in The Infernal Devices--Goodman still manages to make her world wholly unique. I couldn't anticipate the grand majority of plot twists in this novel and the ending threw a knife in my gut; my emotions are a complete mess and I desperately need the sequel to know everything is going to be okay. Goodman doesn't hesitate to do away with characters we're starting to love--or already do!--so I can feel in my gut that the grand finale to this trilogy is going to be an emotional roller coaster for sure. For fans of The Dark Days Club, this sequel doesn't disappoint in the least. It's a wonderful blend of gender roles, romance, action, paranormal, and plot twists. Helen's difficulty in mastering her Reclaimer skills and fitting into the society of the Dark Days Club--so different from the life of a noble women--is utterly realistic and I love, love, love this strong-willed, determined heroine. The secondary characters--a wonderful blend of genders, sexual identities, and class hierarchies--all make this a historical fantasy novel rooted in diversity and I am eager for more of Goodman's work. I, personally, love the Victorian Era and can never become tired of being thrown back into Jane Austen-esque novels with paranormal twists, so this is among my favorite series. But, even if you aren't as obsessed with Victorian England as much as I am, give this series a shot--it's absolutely worth it and you'll discover a new go-to author as a result. 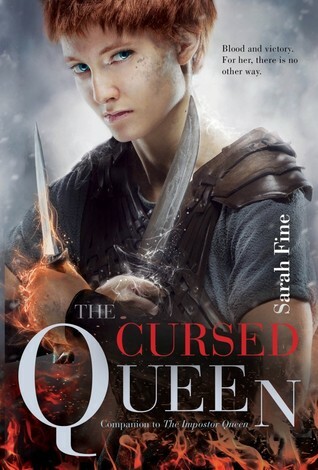 I have to echo other readers on this one--The Cursed Queen is a disappointing sequel to The Imposter Queen. Fine set up a rich, intricate fantasy world with the latter that only continues in its depth with this novel. With The Imposter Queen we followed Elli, her succession to becoming the Valtia and the subsequent chaos that ensued when her magic didn't manifest as it was supposed to. Thus, going into The Cursed Queen, the reader already knows what's happening to Ansa as the Valtia's power flows into her. The strength of this story lies in the fact that Ansa, at a young age, was taken captive to the Krigere tribe where she was raised to be a warrior. Ansa has never given a second thought to her true heritage, completely embracing the Krigere ways of slaughter and bloodshed. Especially compared to Elli, Ansa is a violent and impulsive protagonist, prone to enormous waves of emotion that threaten the delicate control she has over her abilities. Her Krigere upbringing has taught her that she is a witch, now, and Ansa despises herself and her powers. At the same time, however, the politics of her tribe throw her life into further turmoil. Thyra, the new chieftain of their tribe following her father's sudden death, has always been a pacifist. Though she is a deadly warrior in her own right, she believes that the Krigere way--plundering, murdering, and stealing another society's food and people--isn't right. Now that she's chieftain, Thyra wants to change it all. But it isn't as easy as she thinks. Ansa is loyal to Thyra, and loves her deeply, but as the two girls fight their own battles--Ansa with her magic, Thyra as she tries to gain the loyalty of her tribe and find a peaceful way for them to continue onwards without coming to war--their friendship to one another is tested. Ansa and Thyra's relationship is at the core of this novel and while I loved that this homosexual romance was never ostracized or discouraged, I didn't come to feel for it the way I did Elli's romance in The Imposter Queen. Ansa and Thyra have not been strictly truthful with one another and they hold each other in an impossible regard, believing that the other is perfect. I enjoyed watching their relationship grow and change as they began to recognize that they were different people than they originally thought each other to be. However, their romance was a hard sell for me because Ansa loves Thyra, but she doesn't love Thyra's new ways of thinking. And, similarly, Thyra loves Ansa but she doesn't love Ansa's one-track mind and blinders when it comes to the flaws of the Krigere people. In addition to the romance, Ansa as a heroine was difficult to sympathize with. I dislike the phrase "unlikable heroine", mainly because it implies that women are constantly meant to be likable and understandable. I like these "unlikable" heroines because they are the women who don't fit the mold and challenge our traditional values of womanhood. Ansa, by and large, does all this. She's violent, she's impulsive, and she's stubborn and unwilling to change her mind, even if it's Thyra begging her to reconsider how the Krigere people live. It isn't easy to read a novel from her perspective, mainly because she's so close-minded but also because she makes so many tragic mistakes while struggling with her power and in her quest to firmly belong to one thing and put herself in a box. I like the parallels between how both Elli and Ansa find themselves questioning everything they've known and their place in society. But, where Elli won my heart, Ansa is a heroine who takes a long time to grow up. I thought her growth would be more remarkable in the second-half of the novel, but instead she continues to be stubborn and repeat mistakes, only realizing her errors and growing up in the last few chapters. I will say, though, that it was Thyra, finally, who I adored by the end of the novel. She sticks to her convictions, doesn't shirk her responsibilities, and is loyal to her tribe despite her misgivings about their lifestyle. She's willing to do whatever it takes to achieve peace, whether that be through a battle or another, less combative, means. I also love that Thyra pushes Ansa to think beyond the barriers society has erected for her and she never gives up on Ansa, even when Ansa is at her peak levels of stubborness. It was certainly an interesting choice to read this book from the perspective of Ansa--the character who believes in killing all other groups of people without regard for their culture or traditions or even peace just because she's more powerful--instead of the more rational-minded Thyra. But, I also give props to Fine for her daring and experimentation because, frankly, I think Ansa's perspective came across very well, which made it difficult to enjoy this novel but also seems necessary for the final installment. Fine is a master of plot and world-building, and neither of those is lacking in this sequel. The Cursed Queen is thrilling and fast-paced and I particularly loved getting to delve deeper into the class and race relations of this world. I really love how they force readers to think about the prejudices we carry in our own society, too, and I am curious to see how all these different people and cultures can come together to find peace and balance in the final installment. Mostly, though, I am excited for Elli to return to the page. I missed her rational mind and calm thinking. 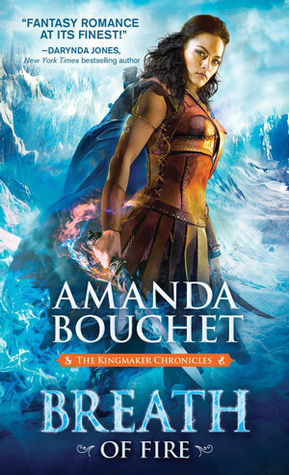 Ansa is perfectly drawn up, in this sequel, but the pacing of her growth and the distinct lack of swoon in her relationship to Thyra (and by this I mean my confusion at why they were in love with each other when they clearly didn't really even know each other truly) made this a difficult novel to fall for. Of course, I am absolutely sticking around for the final book but I wouldn't rush out to pick this one up, especially if you were a fan of The Imposter Queen. In my humble opinion, lowered expectations are the way to go with this one. NOTE: This review is spoiler-free for the entire La Vie en Roses series. Every book can be read as a stand-alone and are simply companion novels to each other, i.e., previous characters/couples return briefly. You can read my review of Once Upon a Rose and my review of A Wish Upon Jasmine, the two previous novels in this series, as well as my reviews of Florand's previous series, Chocolat et Amour (#1, 2, 4, 5, 5.5, 6, 6.5, 7), and Paris Nights. 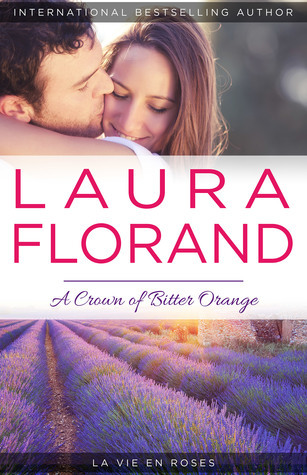 Laura Florand writes magic. I adore her prose and A Crown of Bitter Orange, for a fan like me, does not disappoint in the least. Her latest follows Tristan, the youngest Rosier cousin, and his high school crush, Malorie Monsard. The Monsards have long been enemies of the Rosiers due to a series of actions during WWII, but Tristan has never let that be a deterrent to his affection. 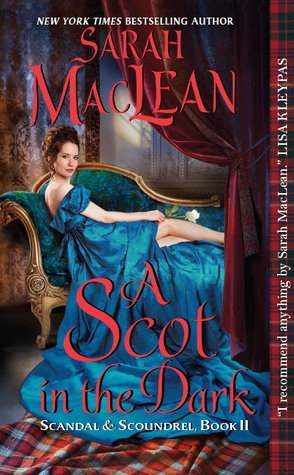 When Malorie returns to Grasse to re-open her family business, Tristan sneaks in his chance to win her over...finally. All of Florand's romances are careful character studies. While their tone shifts--playful, serious, romantic, heart-breaking, etc.--her characters never lose their wonderful charm. These are full-bodied humans that seem to step off the page, so very real with their flaws and their insecurities. I love how seamlessly Florand switches third-person perspectives so that a situation which seems impossible from one character's perspective, suddenly makes sense as we more fully understand each character and their relationship dynamic. Tristan and Malorie have known each other for so long, but the narrative is never bogged down by annoying flashbacks, which I appreciate. We really get to know these two as they are, now, the qualities that have changed since high school and those which have only intensified since then. Malorie, for one, is among my favorite Florand heroines. Her family history is one she is deeply embarrassed by and she has worked hard to not let that deter her in any way, despite the emotional scars that the men in her life--namely her father and grandfather--have left behind. I really enjoyed the strong woman-power element that her narrative brought because Malorie is, truly, a matriarch and looks up to other successful women as her inspiration. In fact, her relationship with Tristan--despite his patriarchal upbringing--is an extremely even-footed dynamic and I really enjoyed that tropes we often see associated with women in romances, like insecurities and shyness were actually present in Tristan, instead. He's a sensitive soul, and what's more, he isn't afraid to show that to Malorie. He genuinely cares for her and his ever-upbeat nature made this a delight to read as he wasn't worried about his fragile masculinity except in front of his cousin brothers. And, that's something else I love about this series--male friendships! These are so, so rare and I really like seeing another side to all of these men as they relax and become themselves around their family members. The Serpent King is the type of book you hear everything and nothing about, simultaneously. It won't stop cropping up on your newsfeed or hitting those "Best of 2016" lists, but no matter how many reviews you read or how many times you re-read the synopsis, you still have no idea what it's about. 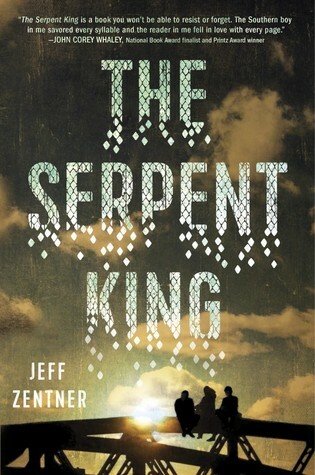 Having finished the Zentner's debut, I finally get it: The Serpent King is a difficult book to pin down and explain away with a brief synopsis. Its strength lies in more than its plot and it seems a disservice to try and reduce this story to a few sentences; but I will try. Dill, the grandson of the "Serpent King" and son of a preacher who is behind bars, believes he is doomed to live out his life in Forrestville, Tennessee, a small town named after the founder of the KKK. His mother is a Good Christian Woman but instead of encouraging Dill to apply to college, she is convinced that his path lies in staying home to pay off the mountain of debt that his father left them with when he was dragged to jail. Dill's two best friends, Lydia and Travis, don't have the burden of their father or grandfather's legacy upon their shoulders. Though Travis is entirely misunderstood by his father, who often beats him and has only become worse after the death of his older brother Matt, it is Dill who is spat at and ridiculed in his hometown. Lydia, in comparison, is the only one of the trio heading off to college. Her parents are supporting and loving, her online fashion blog is an enormous hit, and there is very little doubt in anyone's mind that NYU will accept her early decision. She doesn't have Dill's debts, Travis's father, and either of their religious teachings burdening her. The Serpent King alternates between the point of views of these three characters as they navigate their senior year. The final year of high school is equally nostalgic and exciting; for people like Lydia, it means finally leaving her small town to experience the world but for people like Dill and Travis, who are staying to work in Forrestville for the rest of their lives, it is a bittersweet moment as they realize that their trio is going to be broken up. For me, the strength of this novel lies in the honesty with which Zentner writes this tale. Though Dill and Travis, in particular, have a whole slew of problems that mark them apart from a typical high school teenager--after all, Dill has to visit his father in the Nashville prison more frequently than he'd like and Travis lives in constant fear of his father--The Serpent King is very much about their fears and worries and longings which are exceedingly normal. They want to be kissed, they want to figure out their future, they want to pursue their passions, they want to stay together as this perfect trio forever, they want high school to end, they never want high school to end...I could relate, even though my upbringing has never been anything like theirs. I rarely give much thought to students who graduate high school and work. I'm fortunate enough to have grown up in a town where the very vast majority of my high school class graduated and went to college. The fact that Zentner paints Dill and Travis just as normal and utterly relate-able as Lydia, who works on her college applications late into the night and is both excited and upset to be leaving Forrestville for New York City, is what makes The Serpent King pack a punch. We grow to care for these characters, even Dill whose parents believe that judgement comes from being able to touch snakes or Travis who lives for his favorite fantasy series and is perfectly content working in a lumberyard. The plot isn't fast-paced or action-filled, but I loved being in Dill's head as he struggled to come to terms with his passion for music and dream of pursuing it in college, as Travis realized that he loves fantasy so much that maybe he could write it, as Lydia grew to confront her love for her friends alongside her desire to leave behind her old life. I'm not quite sure why The Serpent King has gotten the rave reviews it's gotten; it's excellent, but I didn't love it. I do appreciate that it puts lower-income students into a wonderful spotlight that never makes it seem that their privilege (or lack of privilege) is depressing. I also enjoyed the nods to religion that never overpower the storyline. Zentner perfectly captures what it's like to want to become a completely different person from your parents while also seeking their approval. There is much to love in The Serpent King and I recommend it whole-heartedly. It's the type of book that is extremely readable, despite its veneer of being an "issue" novel. But, here's my caveat: don't expect the "Best Book of 2016" and perhaps you'll be even more pleasantly surprised.